← Daddy, I wake up! 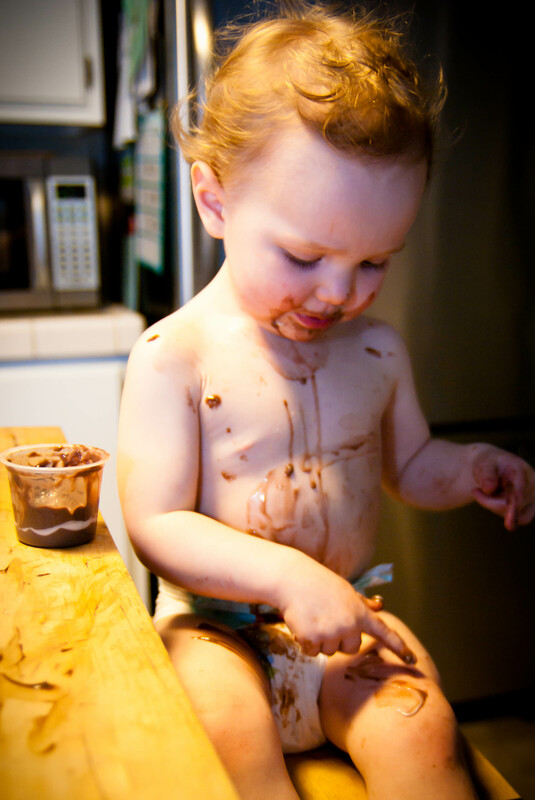 We gave Molly some chocolate pudding the other night, but not before stripping her clothes. She wasn’t sure what to think of it at first. It wasn’t long before she was excited enough to please Bill Cosby. 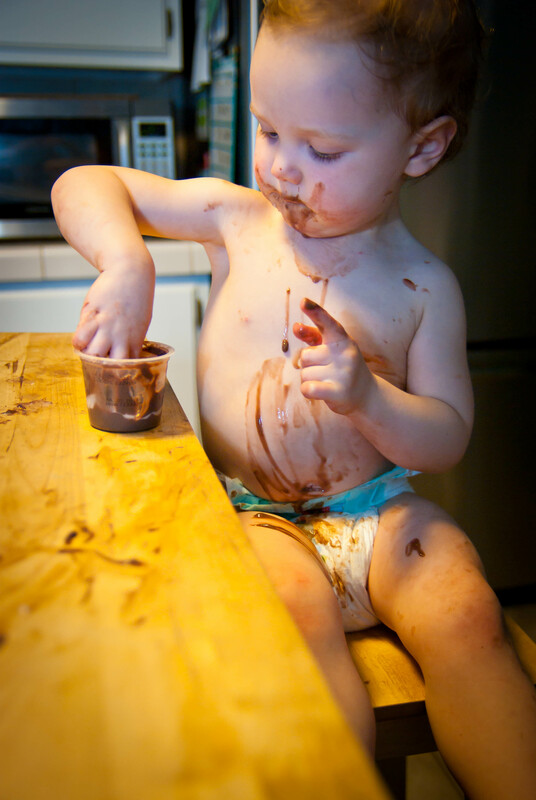 She did well handling the spoon. 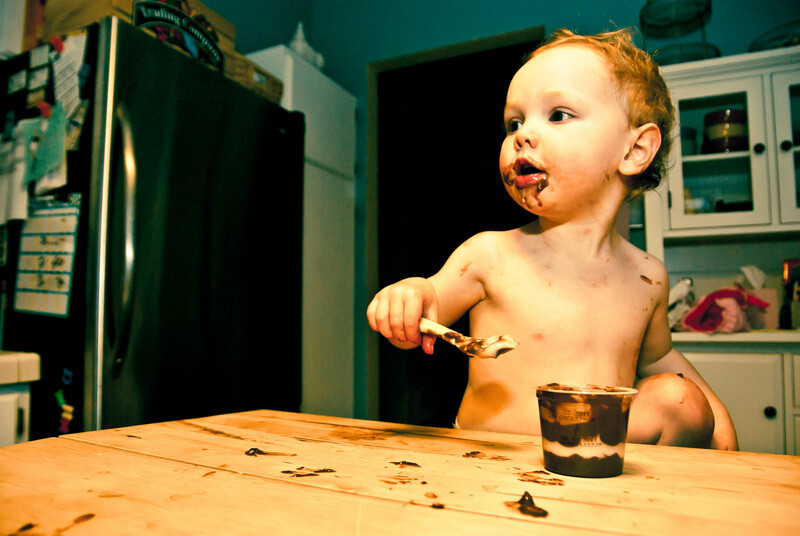 Eating with a spoon is proper, but using your fingers is more fun. 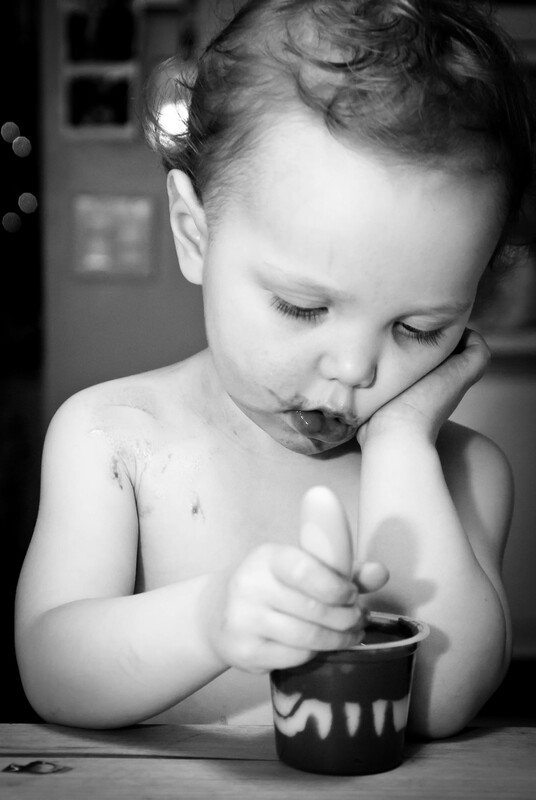 Eating with your hands makes it a lot easier to use food as finger paint as well. Then Mommy and Daddy have to give you a bath as well – a double bonus!